On alternate Sunday mornings, our PK-6th graders experience the joys of hands-on Jewish learning through our exceptional program. 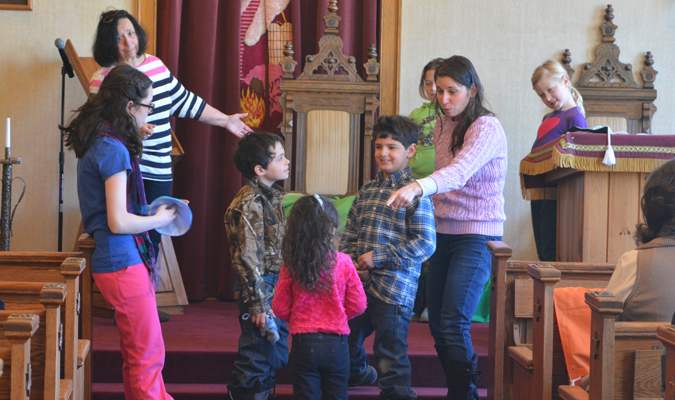 Students learn about Jewish history, Torah, prayer, faith and culture through exciting activities, services, cooking, art projects, dance, song, and more. Temple B’nai Israel sustains an ongoing effort to enrich its members understanding and knowledge of Jewish tradition, history, and practice. Most (but not all) of the Adult Learning sessions are organized around pot-luck lunch or dinner sessions taking place either at the Temple or at homes of Temple members, combining the learning process with an ongoing opportunity for building and strengthening our Temple community.